In an industry defined by its constant evolution, there is a certain amount of merit that goes along with longevity in the automotive marketplace. Automotive brands are constantly working to create the best and newest vehicle offerings in an effort to remain relevant. While some of these efforts are rewarded with a successful and long-lasting vehicle model, other times they fizzle out after only a few years on the market. Creating a vehicle that is both functional and timeless is on the mind of every automotive giant, but is truly a rare occurrence. When a vehicle comes along and is sold at Chevy dealers in Albany, NY and around the world year after year, it is hard not to take notice. The bowtie brand has been around for over 100 years, and has seemed to pick up on some crucial lessons along the way. Trial and error is an unavoidable aspect in the automotive world, but Chevrolet has taken each misstep, and bounced back with vigor. One of the oldest automotive brands in the United States, Chevy has created their fair share of timeless vehicle models. Two of these models, the Corvette and the Suburban, live among the longest-running nameplates in American automotive history. Two extraordinarily different cars, the Corvette and Suburban could not be any further from the opposites they already are. While the Corvette has spent most of its lifespan under the glamorous spotlight, the lesser-praised Suburban has sat quietly on the sidelines. The full-size SUV has earned its number one spot as the longest-running nameplate in United States history, and it is time to borrow the Corvette’s spotlight and shine a new light on the Suburban. The Chevrolet Suburban first rolled off American assembly lines back in 1935. It has seen its share of changes, alterations, and body modifications – but the name has remained. The Chevy Suburban has experienced twelve generations of these updates, with a thirteenth scheduled to debut sometime in 2017. The Suburban has proven that longevity in this industry does not follow popular trends, or even those coveted high fuel economy numbers. The Suburban is classified as an extended length SUV, and despite its meager EPA-ratings, it has been embraced by large families, United States Presidents, the Secret Service, and the Hollywood elite. While many have written off the large SUV as a prehistoric relic, Chevrolet and industry experts know that the Suburban is a timeless piece of the auto industry’s puzzle of success. The Chevrolet Suburban has more than proven its purpose within the American automotive landscape, but what makes it truly unique from others like it on the road? The short and simple answer to that question, is everything. The Suburban offers more than security to celebrities and politicians, and has earned a true place in the everyday life of American families. Discover what we are talking about, by exploring some of the features that make the 2016 Chevy Suburban the best full-size SUV on the market. 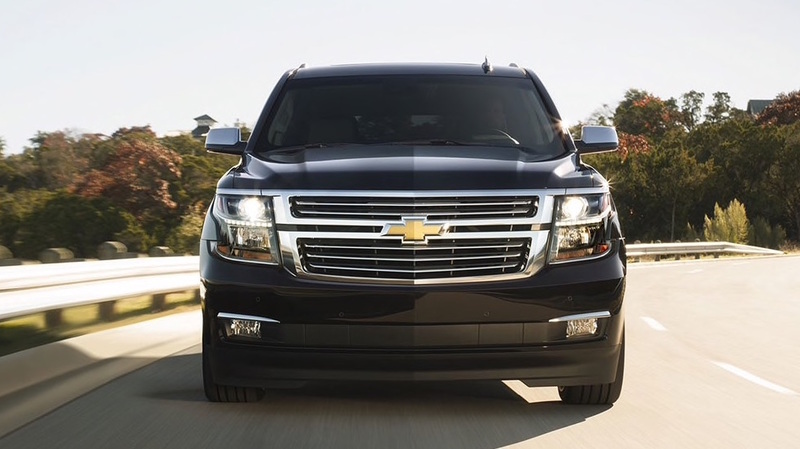 More Seating and Interior Space: The Chevy Suburban is hands down the largest SUV on the road. With seating for up to nine, the Suburban beats out the Expedition and Toyota Sequoia, both of which max out at eight passengers. 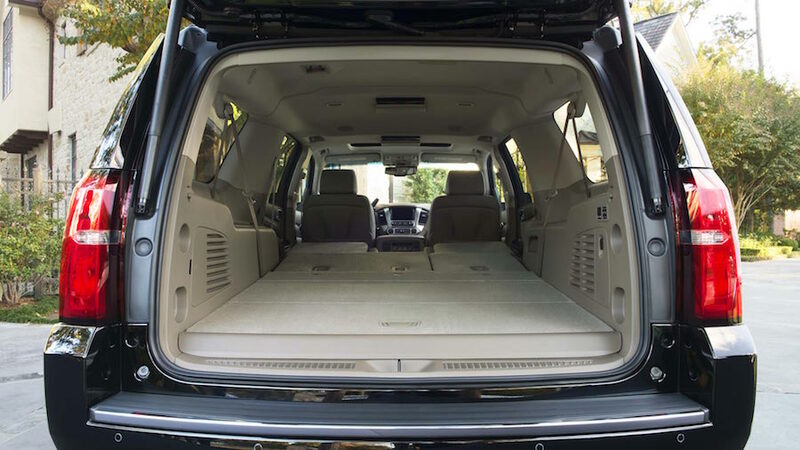 The interior of the Suburban also offers more room than either of these competitors, including head room, leg room, and up to 121.1 cubic-feet of cargo capacity. Simply put, when it comes to space, it can’t be beat. More Efficient: This vehicle segment takes a beating in the fuel economy category, but the Suburban beats out all full-size SUVs when it comes to saving at the pump. Offering best-in-class fuel economy of up to 23 miles per gallon, the Suburban goes farther between fill-ups. The Expedition tops out at 21 miles per gallon on the highway, and the Sequoia comes in last with just 17. 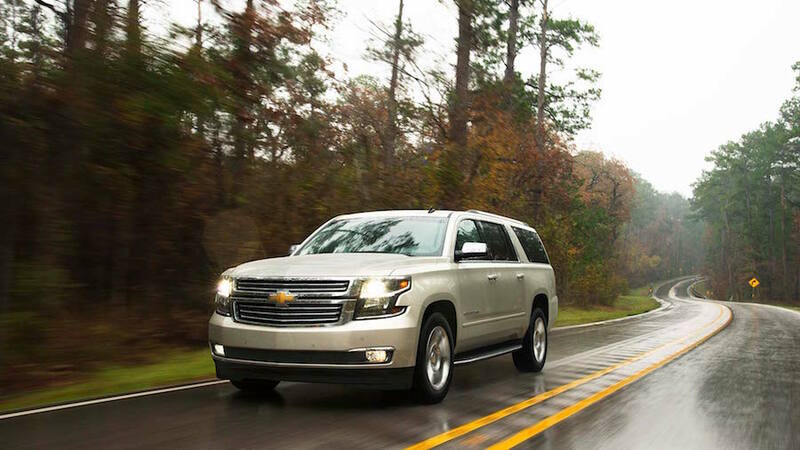 By choosing the Chevy Suburban, both your wallet and Mother Nature will thank you. Class-Exclusive Technology: The Chevy Suburban doesn’t just offer maximum space and fuel economy, it offers the best in-vehicle technology available. Equipped with built-in 4G LTE Wi-Fi, the Suburban becomes a mobile hot spot for up to seven devices at a time. The full-size SUV also offers Lane Keep Assist technology, which keeps you moving forward in the direction you are intending. Neither the Toyota, nor Ford offer either of these options, which gives the Suburban even more edge in the segment. Towing Power: The Suburban is the perfect companion for your summer road trip, or winter getaway. 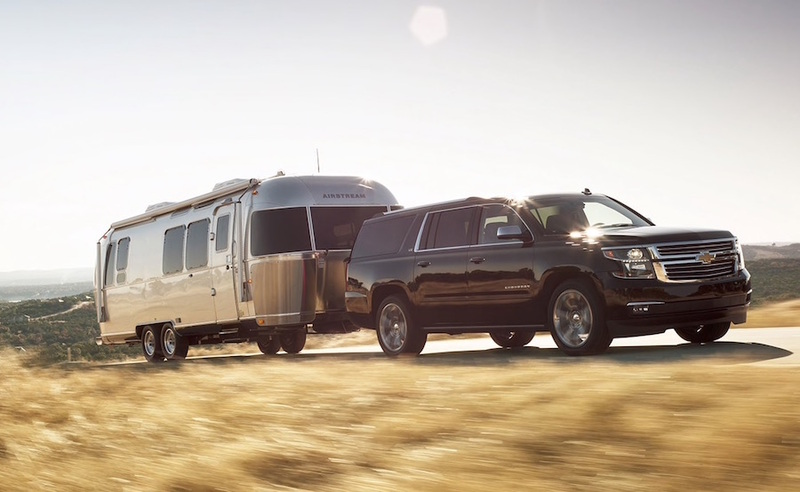 With a maximum towing capacity of 8,300 pounds, the Suburban can bring along whatever you need it to. The 2016 Expedition maxes out at a 6,600-pound towing capacity, while the 2016 Sequoia reaches only 7,400 pounds. While both of these competitors put forth an honest effort, they honestly cannot compare to the power and capability of the Chevy Suburban. Sleek and Functional Design: There is another reason why the Chevy Suburban is preferred by Hollywood actors and politicians, rather the than competitors in its segment. The sleek styling of the Suburban is unparalleled, and is a true testament to Chevrolet’s commitment to innovative design. The Suburban features sculpted lines that curve seamlessly around the exterior of the SUV, giving it a polished appearance from the front headlights to the back bumper. Aside from the obvious aesthetics, the Suburban’s design is what allows it to get such great gas mileage, and pull such heavy loads. If the only experience you have had with the Chevy Suburban is on TV, then you owe it to yourself to come down to DePaula Chevrolet for a test drive. There is something about seeing the longest-running nameplate in history, with your own two eyes. Sitting behind the wheel of the capable Suburban is a powerful feeling, and as such deserves a face-to-face interaction. With the new 2017 Suburban rumored to be released sometime next year, now is the perfect time to get a great deal on the outgoing 2016 model. Fully equipped, fully capable, and fully ready to withstand the testament of time. Come down for a test drive today, and experience the Suburban for yourself.